Regardless of what field of business you are in, you must understand the importance of marketing and the impact it can have on your business. You must have certain knowledge concerning marketing in order to be able to dive out of the vast sea of competitors and manage to stay in the game. Competition is getting stronger and stronger with each coming day and you must ensure you stand out and find your own place on the market in order to reach your ultimate success. You certainly know that a good marketing strategy can provide your business with quite a lot of benefits so, in order to achieve your business goals and reach success, you need to implement different marketing strategies into your business planning. 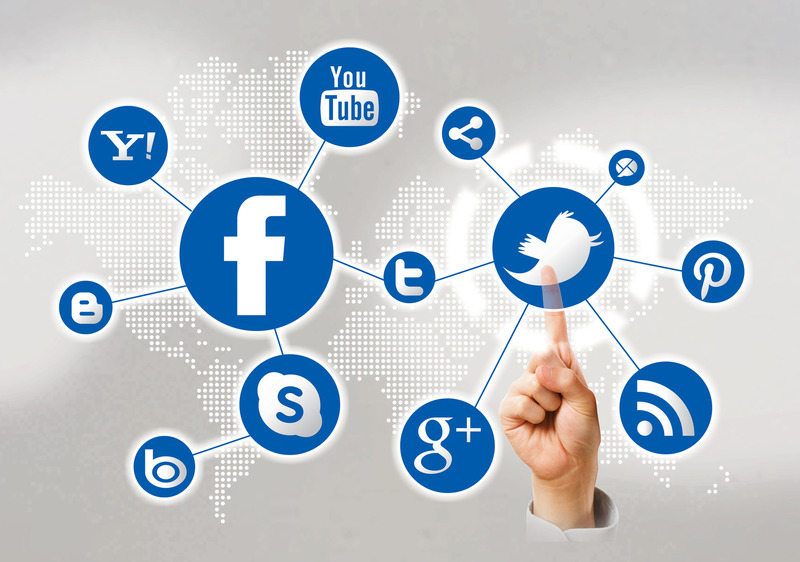 In the day and age we live in, one of the best types of marketing is social media marketing. It can provide your business with an opportunity to enlarge your customer base and increase your web traffic, ultimately helping you generate more income and increase your ROI. The number of active social media users keep going up as we speak and social media networks are certain to grow even more in popularity in the coming years. This is exactly why you must create an effective social media marketing strategy, since it will help you reach quite a large number of people who are interested in what you have to offer. What’s important is to always follow the latest social media trends, as that will enable you to keep improving your business and stay in the game. Without further ado, here are the tips that will help you create your social media marketing strategy and make your business dominate not only in 2016, but for many years to come. The essential first step you need to take when creating your social media strategy, or any strategy, for that matter, is to set your goals. You need to determine what it is that you want to accomplish with your strategy and focus only on that. What’s crucial is not to focus on too many goals, because you don’t want to end up achieving only a handful of them. Instead, focus on a few goals that are of the highest value for your business. Do you want to raise awareness of your business and build your online reputation? Do you want to enlarge your customer base and have more loyal customers? Are you trying to drive more traffic to your website and generate more income? Once you know exactly what your goals are, you will be able to take the right direction towards achieving them. You will know how to create a strategy that will yield the most benefits. Before you get your business ideas out there and share your perspectives with your target audience, you need to make a package that will combine those ideas and perspectives in a perfect way for you to share them with people and represent your business in the best possible light. What will help you sell your business on social media is content. You need to create compelling content that your target customers will find relevant, so that they can engage in your brand. Your content needs to be of the highest quality and it needs to show the greatest benefits of your services or products. What will make your content more enticing are images, so make sure you include high-quality and relevant images in your every blog post, as they will certainly attract more people. When it comes to implementing visual content, you should also enrich your content with videos, as they have the power of tapping into people’s consciousness and making them more engaged. Videos can highly influence people’s purchasing decisions and, if you provide them with quality video content, they will always keep coming back for more. An increased video use in content marketing has already left a mark on 2016 and video content continues to grow in popularity as we speak. Many businesses that use video content in their social media marketing campaigns have managed to increase their sales and generate a lot more income, so make sure you do the same and harness the power of videos. This is the next obvious step when creating your social media marketing strategy. You need to get your business out there and spread the word about the products or services you offer in order to reach your target customers and engage them in your brand. Promoting your business on social media is one of the best ways to reach your target audience and, ultimately, grow your business. You need to conduct a social media audit, so that you can determine which social platforms your target customers prefer to use. This is important because you shouldn’t establish your presence on every possible social media network before knowing whether or not they can do your business justice at all. You need to reach your target audience where they are, instead of waiting for them to discover you. If you already have your presence on social media, you need to update your accounts and optimize them with the latest trends in mind. Updating and optimizing your social media accounts will help you keep up with the competitors that have already been active for quite some time. In order to engage your target audience on social media, it’s essential that you show dedication and show people that you care about them as well, instead of only caring about generating more revenue. Show them that you want to satisfy their desires with your products or services and they will become your most loyal customers. The vital thing about social media is to stay active and share your every blog post. Being active doesn’t mean you should become a spammer, as that would definitely only annoy people. Also, don’t be afraid to re-share your content from time to time, since that will help you reach out to the people who perhaps haven’t seen your posts earlier. Make sure you engage people by asking questions and encouraging discussions. Receiving feedback from your target audience is always welcome, but the most crucial thing is to respond to every comment and message in a timely manner. That will show your existing and potential customers that you respect them and value their opinion. The most dominant social platform is still Facebook, so you should mainly share your content there, but you should not ignore the other social media networks. Along with the content you share, include high-quality images, interesting descriptions and links that lead directly to your website. You should also allow people to tag your photos, because that will help you raise the awareness of your business and spread the word about your products or services. It’s always good for business to make new connections and build new relationships. Building relationships with bloggers can help you greatly with raising the awareness of your brand and expanding your business. You can write blog posts to promote their business and they can do the same for you, resulting in more traffic to your website. What’s great is that a third-party can share a blog post that promotes your business, which will lead to even more traffic being driven to your website. Building relationships with social media influencers can have a great impact on your business. If you can influence people on social media, they can provide you with an excellent endorsement. They can encourage people to do business with you and purchase your products or hire your services. They can mention you in their social media posts, which will result in many people checking you out. What’s great about this is that it is a strategy that really works, because people trust those who have the greatest social following and fan base and tend to rely on their opinion. Mobile marketing as a concept has been talked about for quite some time and, in 2016, it has become a necessity. Many influential marketers have been indicating for years that mobile marketing is essential for every business and it has shown quite an impact on traffic and sales increase for many businesses. Since mobile use exceeds desktop use, by optimizing your website for mobile devices, you will provide your customers with better user experience, thus increasing your SEO ranking and driving more traffic to your website. By failing to do so, you will lose a great number of potential customers to your competition, since millions of people are browsing the internet via their mobile phones. Mobile use is on the rise and it will only continue to grow, so you definitely shouldn’t miss out on the opportunity to reach millions of people who use their mobile phones to search for the products or hire the services you offer. All of this can seem a bit overwhelming at first, but once you get the hang of it, you can be sure it will become a piece of cake. It’s only a little tough when you’re just starting out but, sooner than you know it, you will create an effective social media marketing strategy that will help your business absolutely dominate on the market. All you need to do is follow these tips and you will be on the right path to marketing your brand and reaping the extraordinary benefits that social media offers.